We present the results of prospecting in the NE of the Iberian Peninsula, with the aim of identifying the siliceous sources potentially used by the populations that occupied the marginal basins of the Ebro depression during the Middle and Upper Palaeolithic. We intend to define the main characteristics of the cherts in the region studied, taking into account the palaeoenvironment in which silicifications are mainly formed, and the premise that siliceous rocks acquire the attributes of enclosing rocks. The cherts studied are the products of early diagenesis by replacement of carbonate and evaporite sediments. Petrological analyses show that they are made up of microquartz, with high proportion of fibrous forms silica, carbonates, ferric oxides and evaporite relicts. In the future, these characteristics will be useful for ascribing archaeological materials in both geological and geographical terms. Binford, L.R. 1982, The Archaeology of place. Journal of Anthropological Research, 1(1): 5-31. Boggs, J., S. 2009, Petrology of sedimentary rocks (2nd ed.). Cambridge University Press, Cambridge, 600 p.
Bustillo, M.A. 2010, Silification of continental carbonates. In: Carbonates in continental settings: geochemistry, diagenesis and applications (Alonso-Zarza, A.M. & Tanner, L.H., Eds.) Developments in sedimentology Vol. 62, Elsevier, Oxford: p. 153-182. Carbonell, E., (Ed), 2012, Time and Space In Level J of Abric Romaní (Capellades, Spain), Vertebrate Paleobiology and Paleoanthropology Book Series. Springer, Dordrecht, 411 p.
Carbonell, E., Mosquera, M., Ollé, A., Rodríguez, X.P., Sala, R., Vaquero, M. & Vergès, J.M. 1992, New elements of the Logical Analytic System. First International Meeting on Technical Systems to Configure Lithic Objects of Scare Elaboration. Chaier Noir Vol. 6. Reial Societat Arqueològica Tarraconense, Tarragona, 61 p.
Crandell, O.N. 2006, Macroscopic and microscopic analysis of chert. A proposal for standarisation of methodology and terminology. Buletinul Cercurilor Stiintifice Studentesti, Arheologie - Istorie - Muzeologie, 12: 7-30. Doce, R. & Alcobé, X. 1997, Crystallinity index of some cherts from Ulldemolins complex and Montblanc Formation (Tarragona, Spain). In: Siliceous Rocks and Culture (Ramos, A. & Bustillo, M.A., Eds. ), Universidad de Granada: p. 111-116. Flörke, O., Köhler-Herbertz, B., Langer, K. & Tönges, I. 1982, Water in microcristalline quartz of volcanic origin: agates. Contribution to Mineralogy and Petrology, 80: 324-333. Folk, R.L. 1974, Petrology of Sedimentary Rocks. Hemphill Publishing Company, Austin, Texas. García-Antón, D. 2010, Methodological Approach to the Selection of Palaeolithic Raw Material in Supply Areas Located in Secondary Deposits. Human Evolution, 25 (1-2): 1-18. Luedtke, B.E. 1992, An archaeologist's Guide to Chert and Flint. Vol. 7. Archaeological Research Tools, California, 172 p.
Malyk-Selivanova, N., Ashley, G.M., Gal, R., Glascock, M.D. & Neff, H. 1998, Geological–Geochemical Approach to “Sourcing” of Prehistoric Chert Artifacts, Northwestern Alaska. 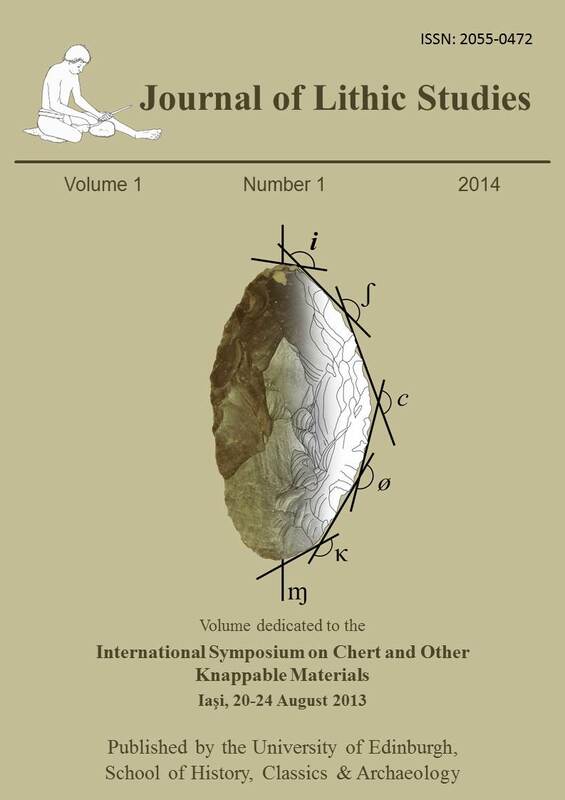 Geoarchaeology: An International Journal, 13(7): 673-708. Monroe, E.A. 1964, Electron Optical Observations of Fine-Grained Silica Minerals. The American Mineralogist, 49: 339-347. Schmalz, R.F. 1960, Flint and Patination of Flint Artifacts. The Prehistoric Society, 26: 44-49. Shackley, M.S. 2008, Archaeological petrology and the Archaeometry of Lithic Materials. Archeometry, 50(2): 194-215.